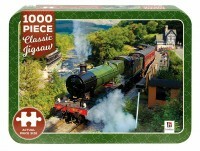 Challenging, relaxing, frustrating, rewarding and ultimately satisfying – this is the world of jigsaw puzzle games! Hinkler publishes a large range of stunning jigsaw puzzles for adults with images that include famous cities, towns, landmarks, architecture, castles, maps, gardens and animals. While away the hours on a rainy afternoon with a 500 or 1000 piece jigsaw puzzle for adults featuring spectacular photography such as Chicago at Twilight, a Swiss castle, a tropical Thai garden, springtime tulips in Holland, adorable meerkats or even a splendid peacock. Or why not get the whole family involved and work together to create the Tiger Nest Temple in Bhutan, Machu Picchu in Peru or the magnificent Cinque Terre in Italy? 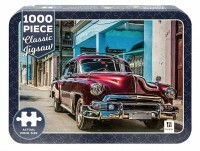 Each puzzle in Hinkler’s collection of 1000 or 500 piece jigsaw puzzles for adults features bright colours and an interesting composition that provides variance of colour, shape and shading throughout. Best of all, once you have placed in the final jigsaw piece and achieved the ultimate satisfaction from your efforts, you can either break up your puzzle and place it back in the box for later use, or frame your masterpiece and display for all to see!